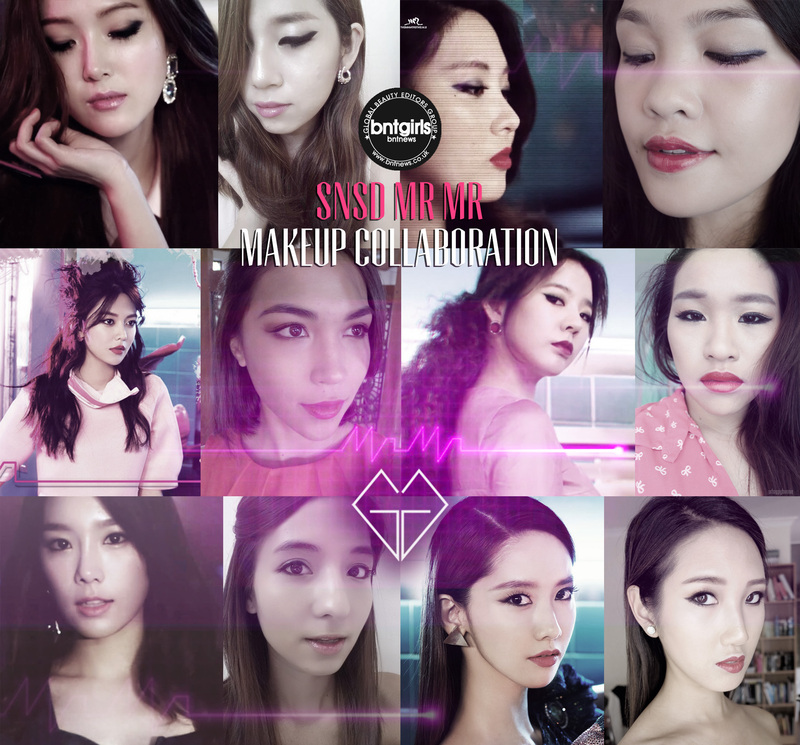 We each picked a girl who wore a makeup look we wanted to recreate! I’m not sure what time the other girls are planning to post their looks, so I’ll just add the links as they come. 🙂 Anyway, I did this look back when I still had long hair! 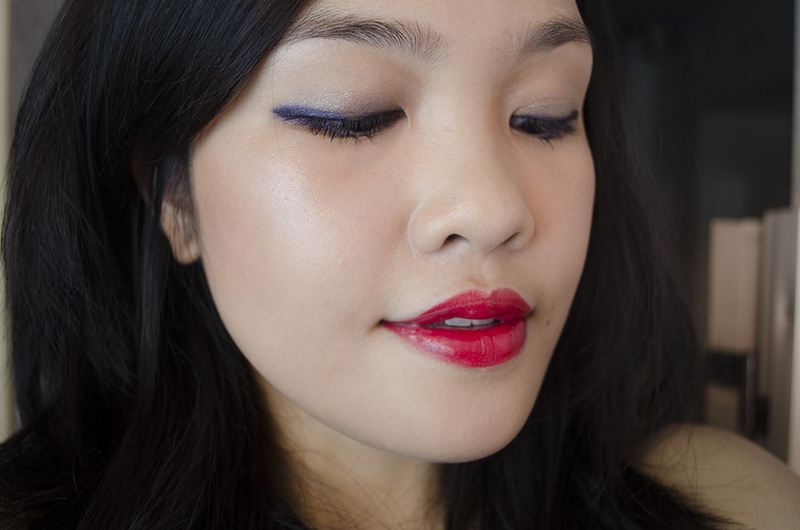 I never would have thought to pair purple eye makeup with a red lip; that just seems to cross over to super bold territory for me. Still, I persevered. 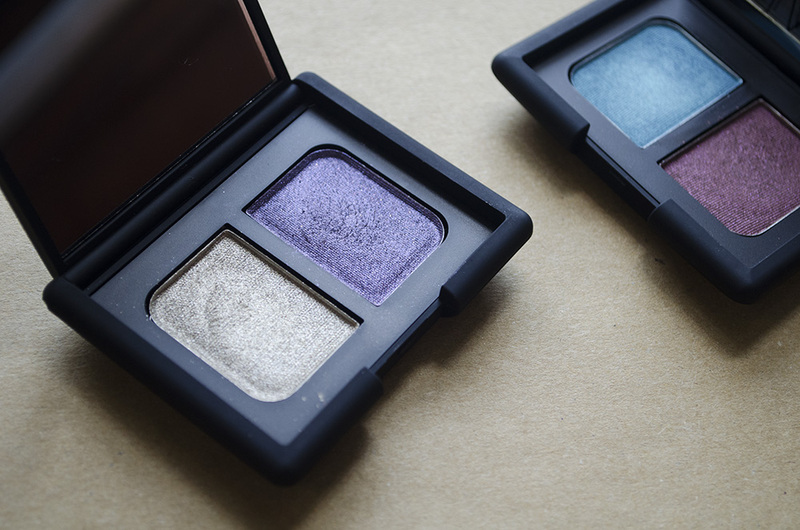 For the eyes, I used to Kauai eyeshadow duo by NARS. After lightly filling in the mobile lid (until a bit below the crease) with the iridescent orchid, I lightly patted the gold lamé shade all over, going slightly over the purple. In the light, it doesn’t seem so dark, but when you move into the shadows, you can totally see the purple tones. To intensify the purple, I used a creamy eyeliner (Clinique Quickliner for Eyes Intense in 02 Intense Plum*) to line my eyes, going heavier towards the outer part of the eye. I ran it under the lower lash line as well, smudging the iridescent smoky orchid shade along the lashline to soften the line. After a few coats of mascara (to my knowledge, Benefit’s They’re Real! ), and the eyes are done. I didn’t do much with the eyebrows since hers seem quite undone. I don’t even remember what my lip color is here. I think it might be Le Métier de Beauté’s Signature, since I don’t own too many reds and that one looks like the one I’d have used. I quite like how the face base turned out! I used the too cool for school Dinoplatz Pearl Bay Invasion illuminator in Mother of Pearl on the cheekbone/highlighter-y areas, then topped it off with NARS Sheer Glow in Punjab. 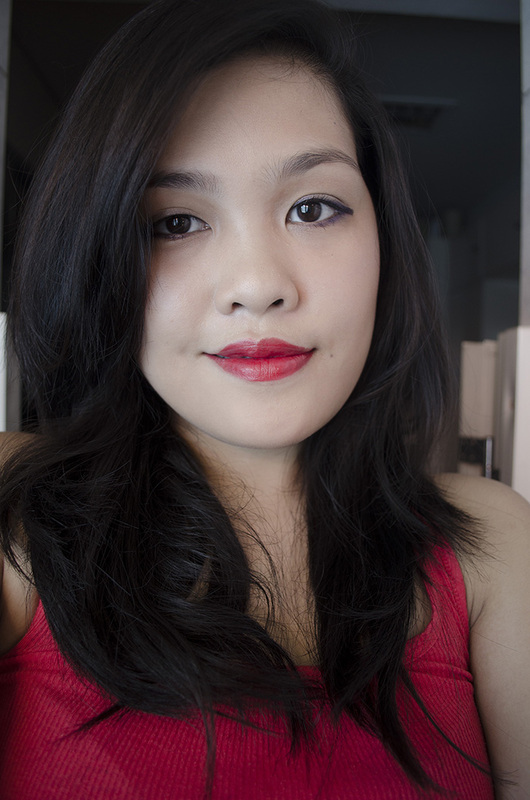 I concealed using the NARS Radiant Creamy Concealer in Ginger. Seohyun didn’t have much blush going on, so I just used bronzer (Tarte Amazonian Clay Matte & Waterproof Bronzer in Park Ave. Princess) and deepened the dimensions of my face using all three powders from the Hourglass Ambient Lighting Powder Palette. I used Dim Light to set the liquid bases, Radiant Light for depth of the cheeks (applied towards the hairline), and Incandescent Light to highlight. Truth be told, it was only when I used it for this look that I truly appreciated the beauty of Incandescent Light. What do you think? I think I’d have added more purple to the eyes, but then again, I think this may have made the look more wearable for plebeians like me. Oh GREAT job, Carina!!! I’ve always kinda wanted to try these droopy puppy eye eyeliner, but every time I get my eyeliner brush in my hand, I DO A WING LOL That purple is SO pretty on your lash line! Looove! Yay, thank you Sunny! LOL, you should try it! 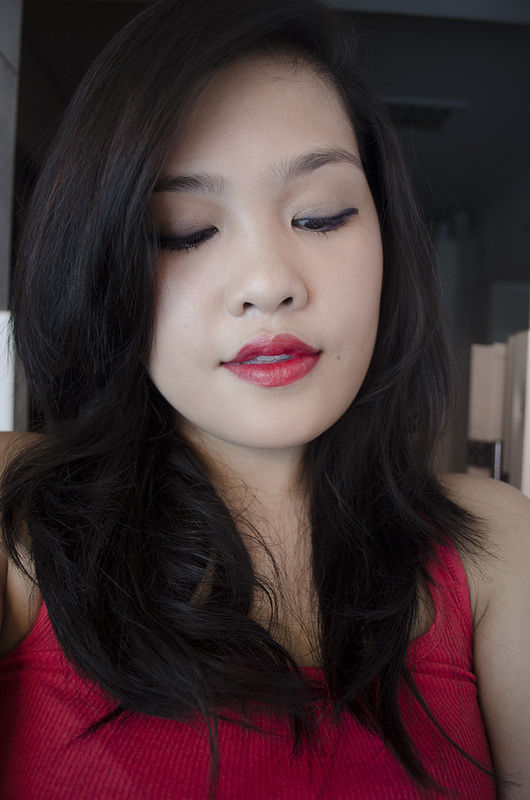 My fail-safe liner trick is to just follow my natural line… which is droopy. HAHA. But sometimes I am able to salvage it and do a wing instead. Looove the colabs! It all tied in together! Nice to see a different version of you. I would have never paired purple with red too but it does kind of work. So pretty! Your skin is gorg.